Tyson Fury has a lot of reasons to feel joy as he heads into his next fight against Francesca Pianeta. Not only is the “Gypsy King” excited for his prospects of facing WBC world heavyweight champion Deontay Wilder, but the fact that Eddie Hearn will have nothing to do with it. 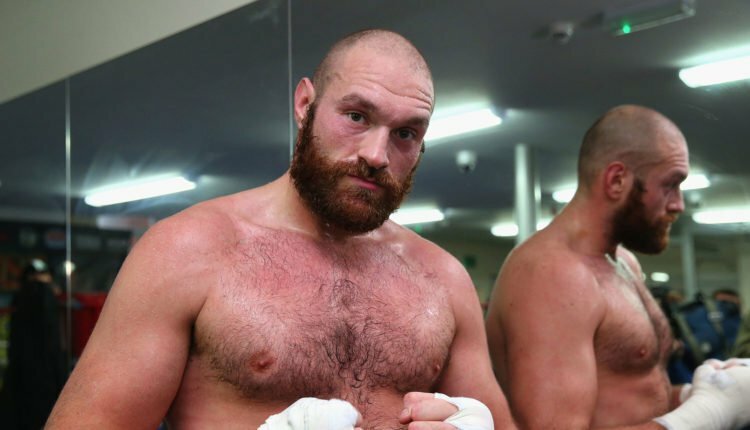 Fury took to Instagram this weekend, and delighted in Anthony Joshua’s promoter/ Matchroom Boxing CEO’s lack of involvement in the “World’s biggest fight. Fury said: “I’m just sat here thinking, isn’t it marvelous that the world’s biggest fight, [Tyson] Fury vs [Deontay] Wilder. “He has nothing to do with the world’s biggest fight – or his little puppet on the string the fighter he’s got [Joshua]. “They’re not involved in the biggest fight the world has ever seen, between the two biggest heavyweights on the planet.